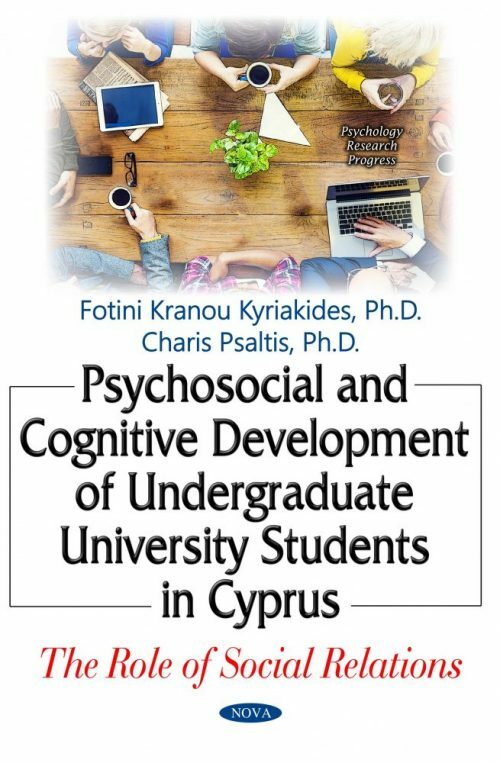 This book explores the psycho-social and cognitive development of Greek Cypriot University students. Taking Perry’s theory of ethical and intellectual development as a point of reference, it first explores the way Perry was influenced by both Piaget and Kohlberg in relation to the formulation of stage theory, and then discusses the way Perry’s work influenced more recent Post-formal theories of cognitive development. It is argued that all stage theories depended on a particular structuralist reading of Piagetian theory that suppressed the references to the social psychological work of Piaget, and in particular the role of social interaction in cognitive development. This critique is articulated in two moves. First, the authors describe how critical voices internal to this literature like Riegel’s attempted to depart from what they conceived as an individualistic paradigm through the introduction of a dialectical framework, but then also point to the problems of these initial efforts. A major problem of these first efforts was the absence of a well developed socio-cultural framework for analysis based on Vygotskian theory. This problem is redressed through a discussion of the ways that major socio-cultural theorists understood human development in their more recent theories. The authors also revisit the social concept in Piagetian theory and its development through successive generations of research on social interaction and cognitive development. An integrative framework of human development as a social psychological process is then proposed that welds together a role for social relations on crucial cognitive outcomes like the attainment of formal operational thinking and deep learning. Additionally, psycho-social developmental outcomes like tolerance, commitment to future plans and self-determination are discussed as well. The results, beyond providing a description of university students’ state of development for the first time in the Cypriot context, also discuss the role of gender and socio-economic status in these students. Finally, the book is characterised by the attempt at the articulation of what Doise  described as the four levels of analysis [intra-personal, interpersonal, intergroup/positional, social representations/ideological] by integrating in this process of articulation a role for social ethnic identity and ideological variables, thus offering a more complete socio-cultural model of university students’ development that manages to integrate social identity dynamics into existing development theories. This book is primarily aimed at graduate students, academics, and student development researchers. It will be of interest to Sociology, Developmental Psychology, Education, Educational Psychology, Social psychology students and academics. It is aimed primarily at postgraduate students, yet it can be used in advanced undergraduate courses. The book can be used as part of the teaching material and may be sold to university libraries.